Metal nanoparticles that have already found numerous applications in science and technology may be obtained in different ways. In the opening study included in Metal Nanoparticles: Properties, Synthesis and Applications, several factors affecting metal nanoparticle morphology in island films are determined. The formation of islet metal films during their deposition in the process of thermal evaporation on a dielectric substrate and their spontaneous changes at room temperature are also described. Following this, the authors present their experimental results on synthesis, modification and destruction of silver nanoparticles in the bulk and surface of silicate glasses. Special attention is paid to the effects of laser and electron-beam irradiation on the above-mentioned processes. The authors go on to review the synthesis of embedded noble metal nanoparticles and their optical properties and potential applications in surface enhanced Raman scattering. The optical properties of NMNPs due to the localized surface plasmon resonance and the enhanced local electromagnetic field which govern their SERS activity will be discussed along with their fundamental mechanisms. The effects of zinc, titanium, copper and oxide thin films with nanostructured surfaces and iron oxide and silver nanoparticles on Enterococcus hirae and Escherichia coli growth and membrane activity are also presented and discussed. 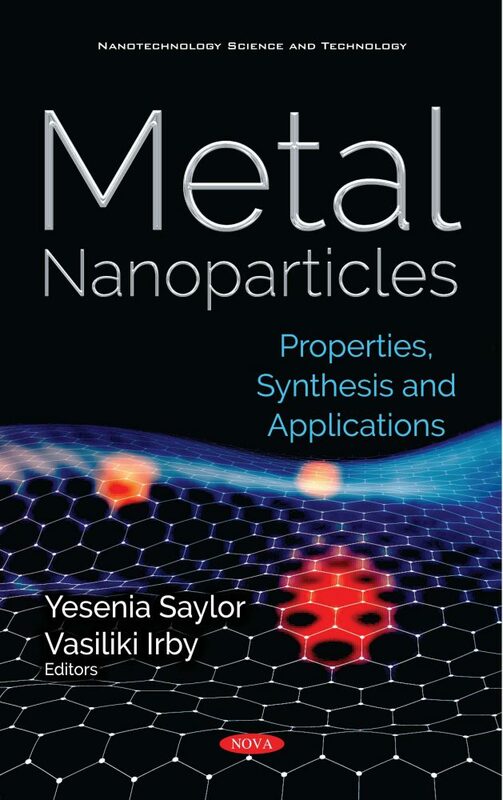 The authors suggest that different types of metal nanoparticles could be applied in medicine due to their antimicrobial activity, effeciency in anti-inflammatory effects and potential in anticancer therapy. Next, the development of platinum-metal nanoparticles and their core-shell structures is discussed. The authors analyze in detail the polymeric composite of the metal nanoparticles on the surface of different carbon support materials (e.g. carbon nanotubes, graphene, carbon-nanospheres, mesoporous carbon, and carbon nanofibers), showing the synergetic effects on the active surface area of platinum metal catalysts. In one review, the past decade’s data regarding the effects of nanoparticles of noble metals on higher plants are considered, as well as possible nanoparticle phytotoxicity. The review discusses the various effects that gold and silver nanoparticles can have on the state, growth, and productivity of plants. Published evidence, although incomplete and contradictory, indicates that metal nanoparticles can have both positive and negative effects on plants. Lastly, glassy carbon electrodes modified with polyphenazine conducting polymers and metallic nanoparticles were used to study the interaction between H2O2 and ascorbic acid. The antioxidant capacity of ascorbic acid measured from this interaction agreed with that reported using non-electrochemical techniques.